Gleb Budman has built his cloud-backup company, BackBlaze, into a profitable venture that houses petabytes of data in total and costs users only $5 a month for unlimited capacity. The company’s open source designs for building massive-capacity, dirt-cheap “pods” housing 180 terabytes apiece are so popular they even attracted interest from the CIA. But when Backblaze started, Budman told us on this week’s Structure Show podcast, people thought he was crazy. 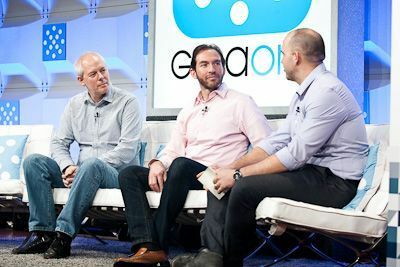 Here are my favorite quotes from a very quotable episode, in which Budman shares his thoughts and insights on everything from the economics of storage to his presentation at the annual FailCon event. You’ll certainly want to listen to the whole show to hear all that Budman has to say, though. The answer, after determining that would cost $5 a month to store 30 gigabytes of user data on Amazon Web Services, and thousands of dollars per terabyte for enterprise storage arrays, was figuring out how to take advantage of $100 1-terabyte consumer-class hard drives. “We started screwing around with hard drives and trying to figure out how we could get a bunch of hard drives connected to the internet for the lowest cost possible,” Budman said. That skepticism led to the first of Budman’s blog posts explaining how the storage pods were built and how much they cost. After that, he said, people began to believe the company really was for real. The NSA wants to store a yottabyte of data, really? Maybe that post made the rounds through the intelligence agency, because about two years afterward, Budman said, he got a visit from the CIA asking Backblaze to build it a massive system for its new focus on data collection and mining. 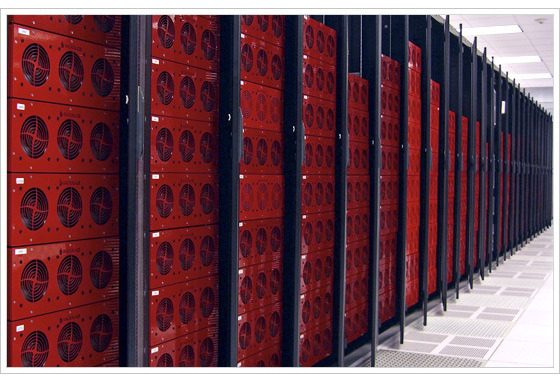 An aisle full of pods in the Backblaze data center. $5 per month for unlimited storage? Seems almost too good to be true. But apparently it’s true.